Ever heard of the LEED Home Rating System? Maybe. Thought of it much? Probably not. If you’re about to have a home built to your specifications, I’d strongly suggest you educate yourself regarding the eco-friendly LEED Home Rating Certification program. 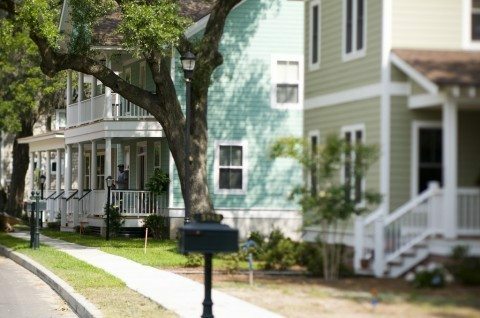 If you’re in the market for a new home, condo, apartment, etc… you should seek out a dwelling with the LEED certification for these reasons. Okay, so what is LEED? LEED stands for Leadership in Energy & Environmental Design and it is administered by the U.S. Green Building Council. It’s some serious stuff with stringent guidelines but attainable goals for environmentally-minded home builders and their customers. First of all, to receive LEED certification, your new home is required to be inspected by a LEED certified, third-party home inspector. The cost of inspection will vary, but expect to spend around $1,500. Innovation and Design Process (ID). Special design methods, unique regional credits, measures not currently addressed in the Rating System, and exemplary performance levels. Location & Linkages (LL). The placement of homes in socially and environmentally responsible ways in relation to the larger community. Sustainable Sites (SS). The use of the entire property so as to minimize the project’s impact on the site. Water Efficiency (WE). Water efficient practices, both indoor and out. Energy & Atmosphere (EA). Energy efficiency, particularly in the building envelope and heating and cooling design. Materials & Resources (MR). Efficient utilization of materials, selection of environmentally preferable materials, and minimization of waste during construction. Indoor Environmental Quality (EQ). Improvement of indoor air quality by reducing the creation of and exposure to pollutants. Awareness & Education (AE). The education of homeowner, tenant, and/or building manager about the operation and maintenance of the green features of a LEED home. There are also 4 levels of certification available in order to receive LEED credits. So, platinum is the highest standard attainable. As an example, this HGTV Green Home was able to warrant a Gold certification — which is extraordinary. You’d never know it by just driving by the house. There’s nothing odd or weird looking about the house at all. It’s the design features — like those used to reduce water consumption that make all the difference. Green building is here and now for today’s home styles and lifestyles. DO IT PEOPLE! The payback is global, local and personal. Your environmental impact on all fronts is considerable. How does reduced greenhouse gas emissions, lower energy and water bills, reduced construction waste for your local landfill, and considerably less problems with indoor air quality sound to you? Like a breath of fresh air, that’s how! Again… that’s global, local, and personal. Okay…that’s the basics. Want to know the nitty-gritty details about LEED certification and LEED credits? Here’s everything you ever wanted to know about the LEED program and all that it entails… and I do mean everything! Is It Worth It To Get Your Home LEED Certified? 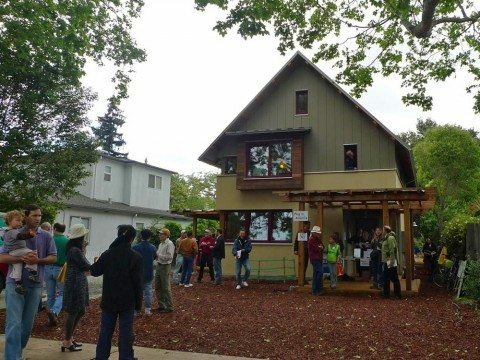 LEED For Homes… Is It Worth It? 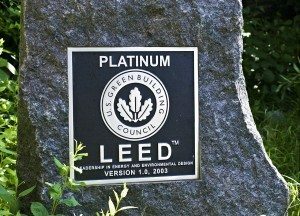 LEED Points vs LEED Credits: What’s The Difference?